Even before you get settled in to your home, you should be thinking about who you want to hire for your Huntersville window blinds and shutter company. The sooner that you can get your window coverings in place, the better off you will be. This is an essential part of transforming your current house into the home of your dreams, but it is also about providing you with light control and privacy. A common mistake people make is waiting until they move into their new home and then realizing that they need window dressings – and quick. This leads to settling for the inferior service and mass-produced products you get from window blind salespeople. We make the difference because we focus on providing you with window treatment solutions, as opposed to just making the sale. 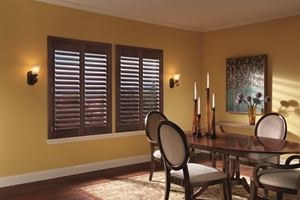 In Huntersville, NC the Sweet Shutters and Shade name has become synonymous with expert quality for customer service, products, workmanship and even pricing. When you genuinely care about the satisfaction and well-being of your clients, this is what makes all the difference. So give us a call today and let us provide you with the results that you have been hoping for all along. The nonporous material means that it does not trap dirt, dust or other airborne contaminants. You can simply wipe your shutters clean. This is not only convenient, it is the ideal solution for anyone suffering from asthma, allergies or other respiratory related health conditions. This is the best choice for optimal privacy and light control. There is no other window covering that provides you with the same level of this control, due to the slat and louver system. 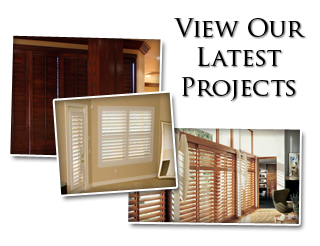 Quality shutters in Huntersville, NC that have been professionally installed will also help to increase the property value of your home. Even if you pay slightly more for this exceptional window treatment, it will offer a great return on investment. Let us set up a time for your free in-home consultation to review the alternative selections that you have, like window blinds in Huntersville. Our job, here at Sweet Shutters and Shades, is to provide you with the information that you need so that you can make a wise decision. There is no reason to settle for inferior blinds, or any other style of window covering, when our window blind company can help ensure that you get the very best. 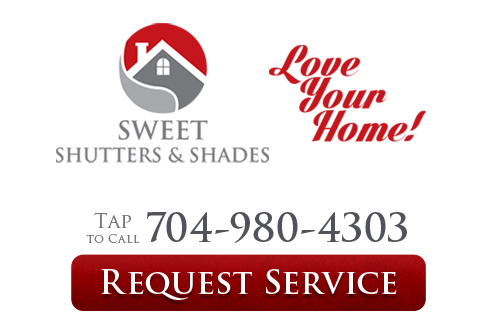 If you are looking for an experienced Huntersville shutters or window blinds professional then please call 704-980-4303 or complete our online request form.